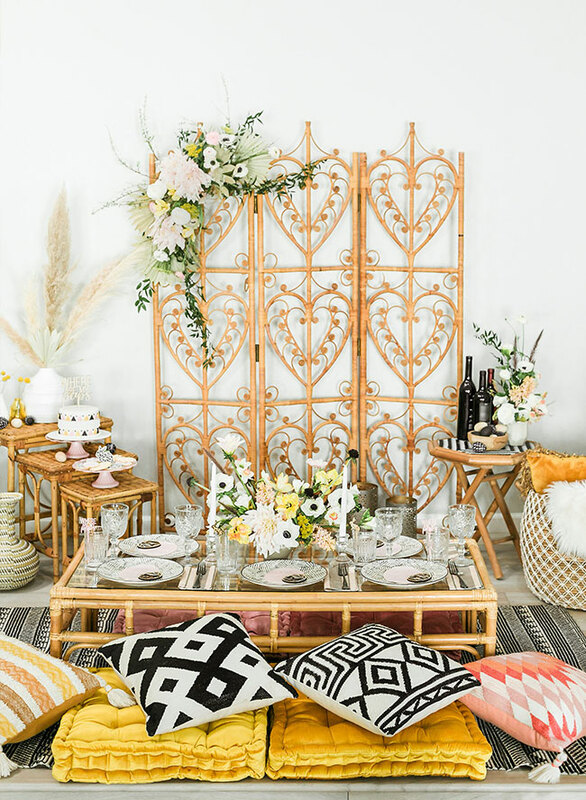 Any soiree that serves “mama juice” AKA cocktails, is already right up our alley, but this trendy Easter brunch continues to thrill us with modern geometric elements and a rattan floor table. C.C. 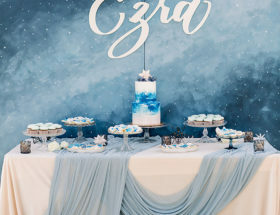 Monroe Event Design partnered with Adorning Your Space to bring an out-of-the-box vision to life. 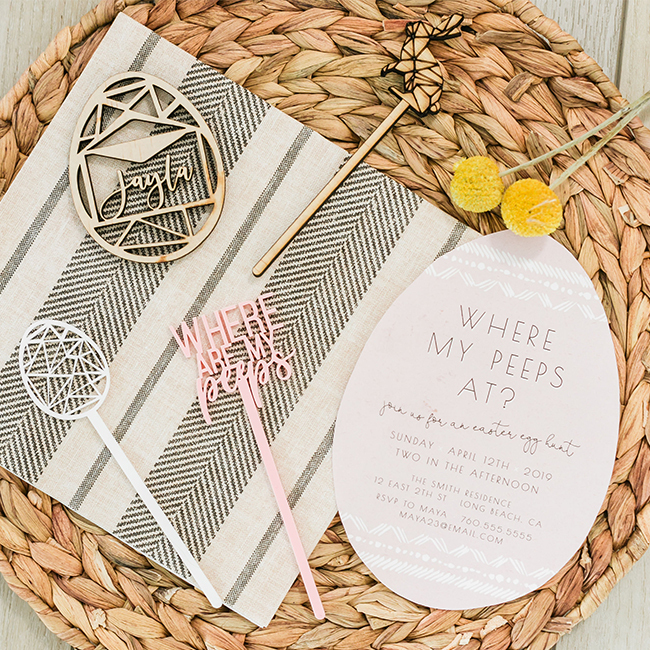 Their take on Easter is still fun and vibrant but contemporary and pretty rad too. 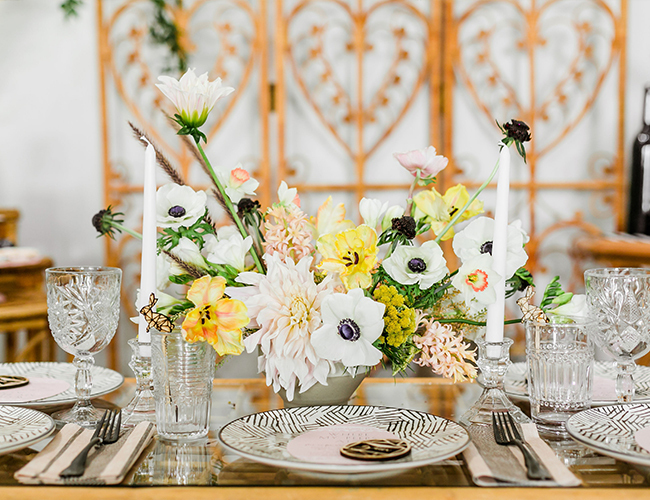 With Easter just a few weeks away, I knew I wanted to do a holiday inspired shoot. 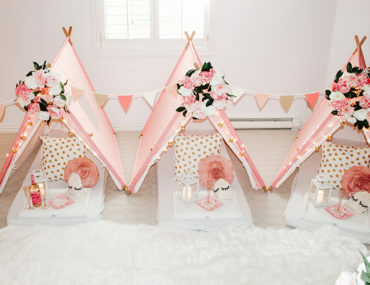 However, I wanted to think “outside of the box” from your typical pastel set up. So I called my partner in crime Sina of Adorning Your Space. We are both stylists and I love the fact that we are able to bounce ideas off one another and collaborate without feeling competitive. Oh, and did I mention we also home school are two toddlers together. Two boss mamas getting together, equals a good time! 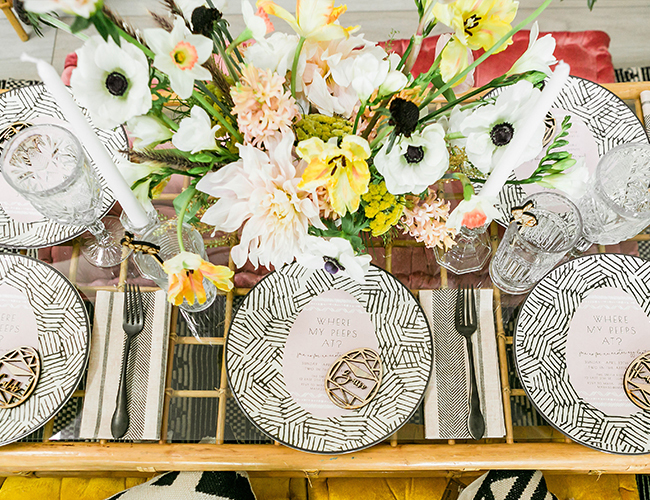 We decided to do Easter brunch, boho style with a tribal, geometric twist. 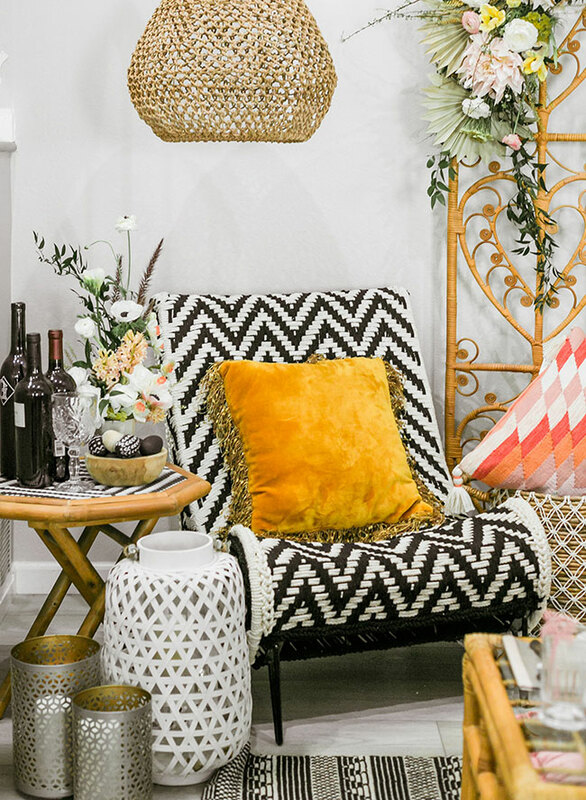 To achieve the desired feel, we went with a low rattan table from Sweet Salvage Rentals surrounded by an eclectic mix of pillows. 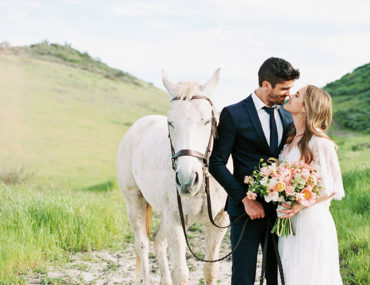 Our color scheme was blush, mustard and black. 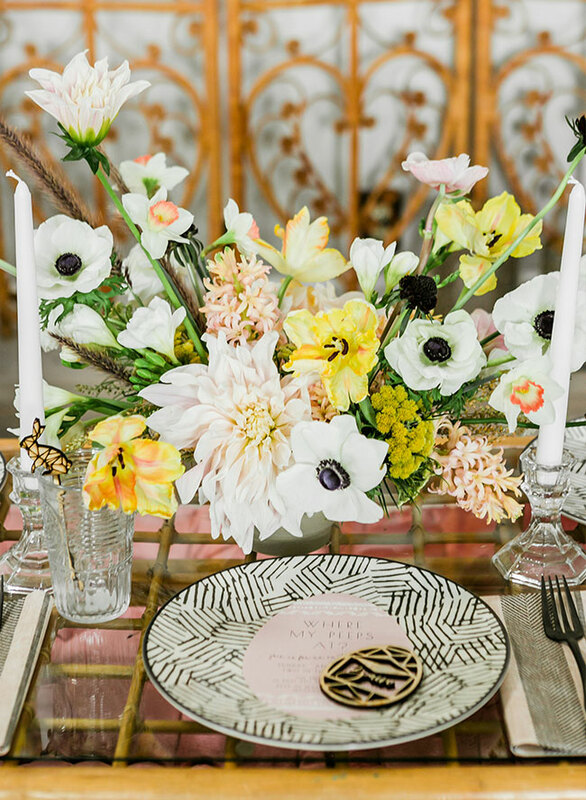 To carry this color palette throughout our shoot, we decorated our tablescape with a tribal patterned plate and matte black utensils. 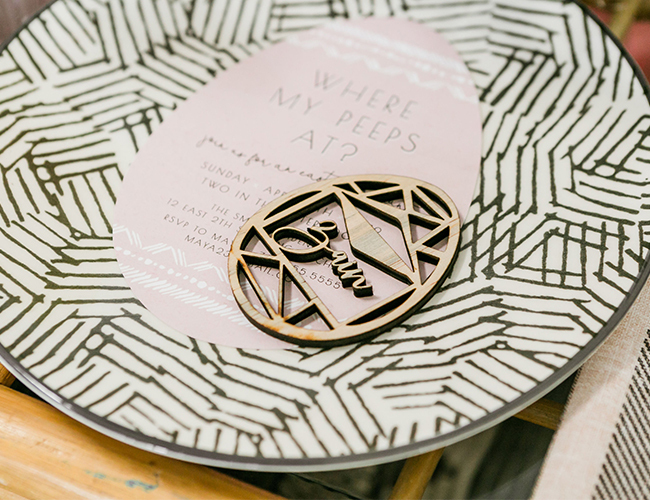 To add a thoughtful personal touch, we adorned each place setting with a wooden geometric egg place card by Creative Amme. 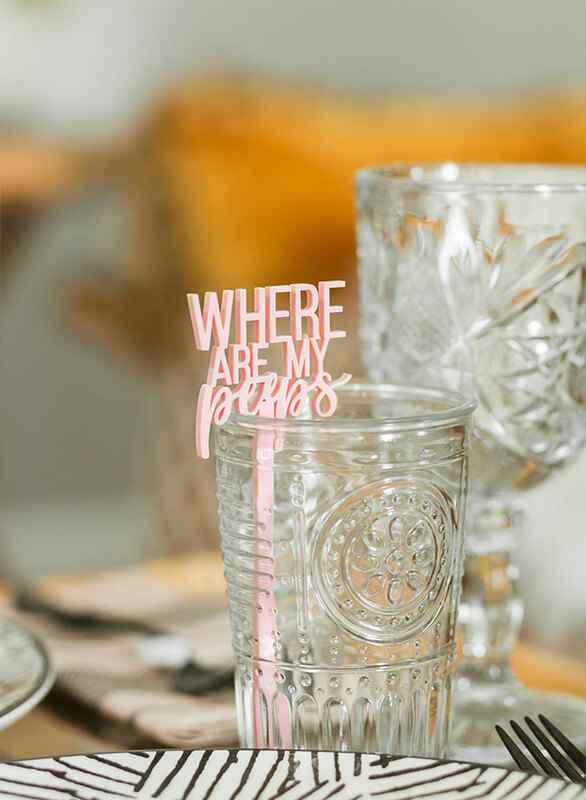 We also had easter inspired drink stirrers created to dress up each glass. 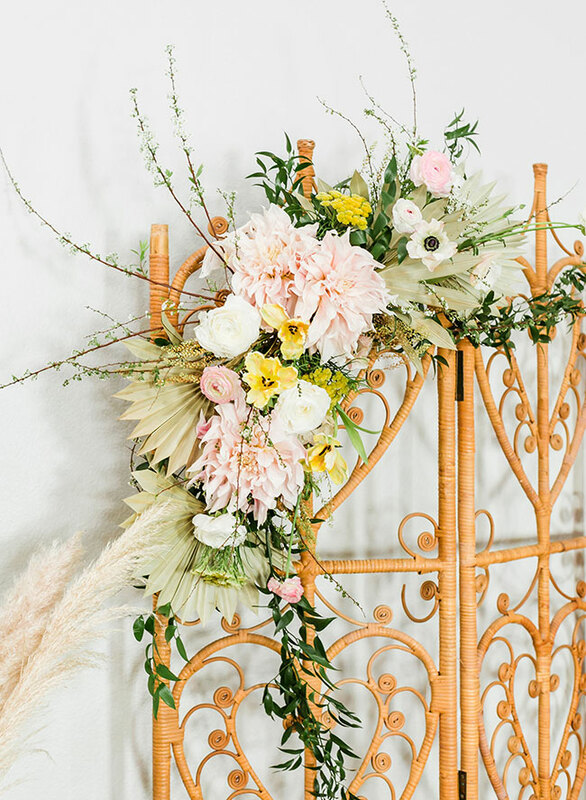 The floral centerpieces were soft and airy, providing pops of blush and mustard. 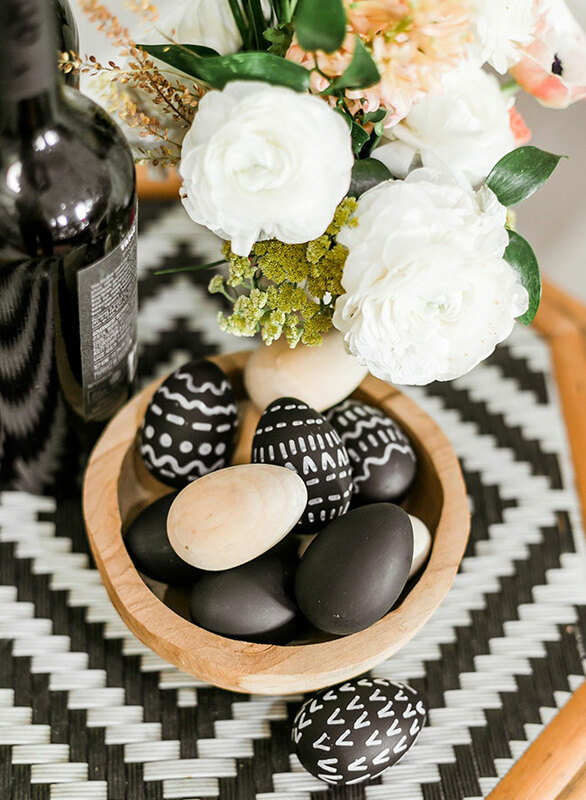 Hand painted geometric eggs were placed down the center of the table. 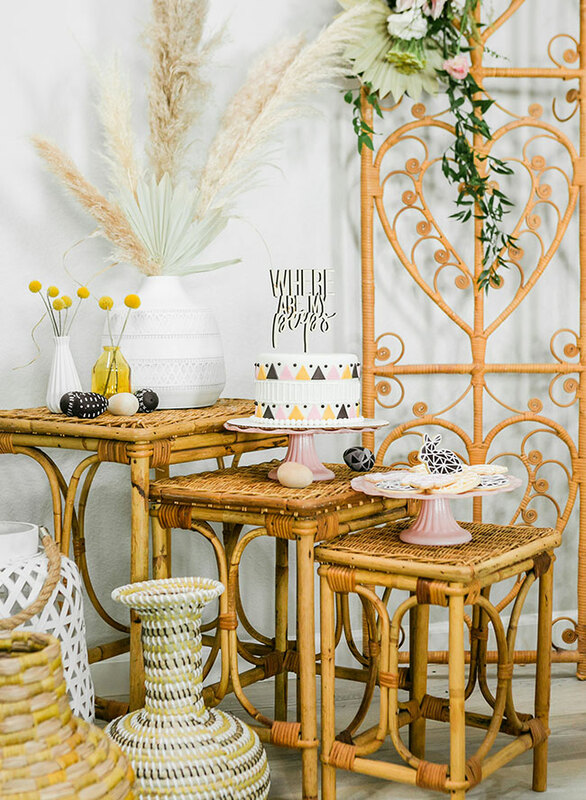 For the dessert area, we selected a trio of rattan tables. 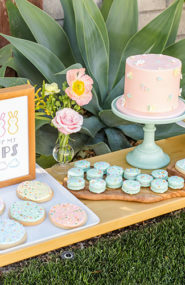 We had geometric inspired Easter bunny and egg shaped cookies designed as well. 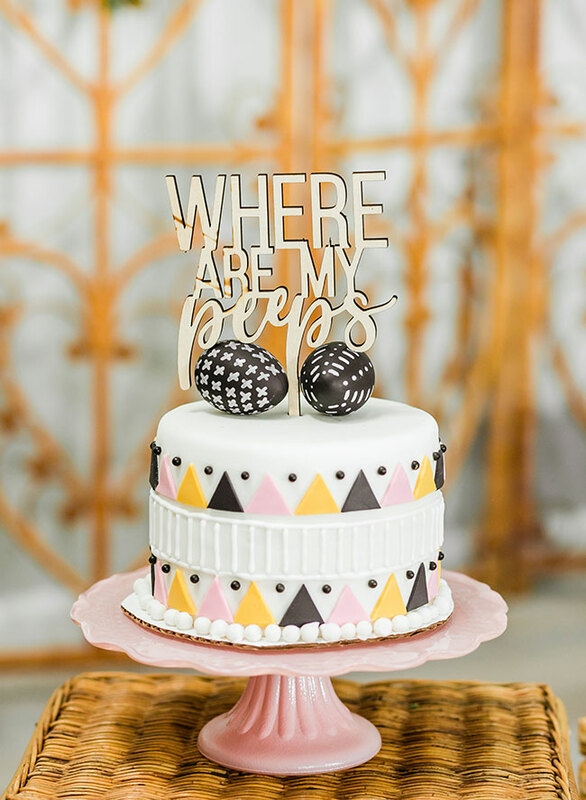 Our dessert area also included the cutest tribal inspired cake. Of course, we had to include a little bar setup. 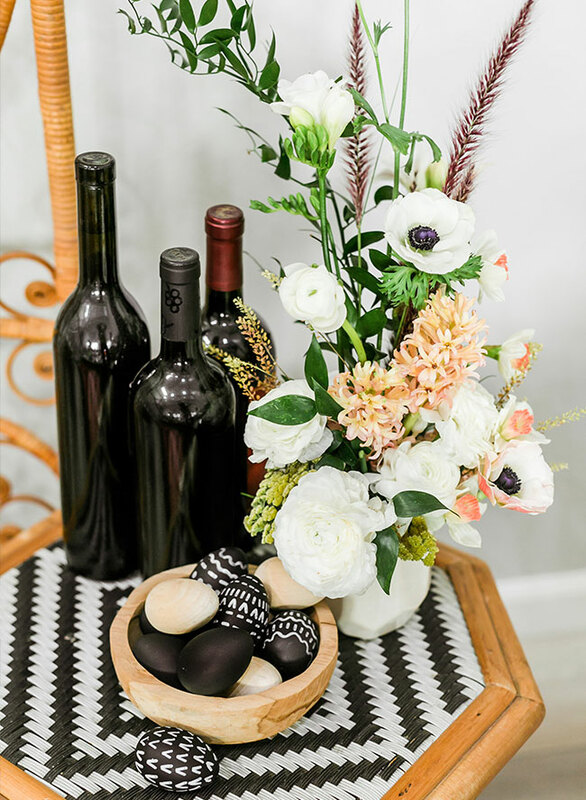 No party with us is ever complete without an area for our “mama juice”. 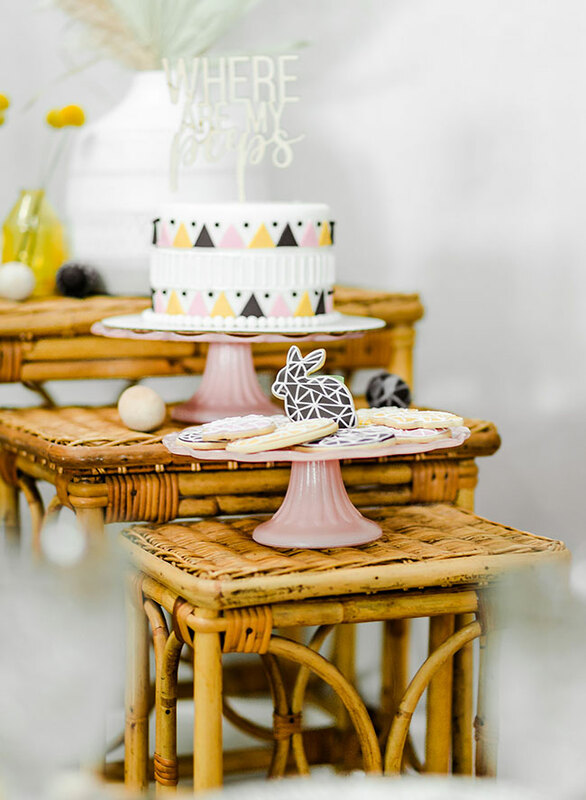 For more Easter fun, check out this boho Easter party for kids too!